A unique 400 plus acre natural reserve dedicated to education and to the celebration of the environment, plants, the arts, and community. The grounds are open to the public during the day for hiking, fishing, disc-golf, and horseback riding and include a developing botanical garden and a plant nursery, Forestfarm Nursery. 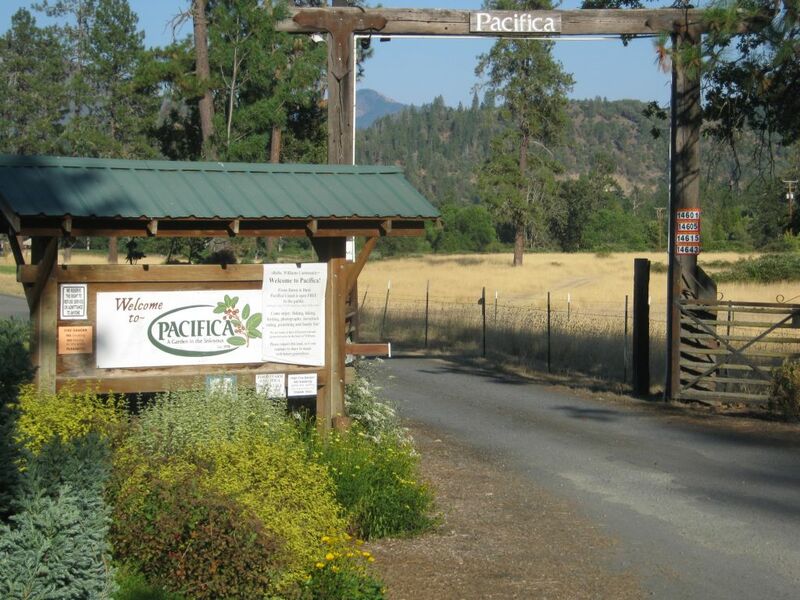 Pacifica holds environmental education programs on site and operates the Caterpillar, an adorable mobile educational unit. It is also home to the Pacific Arts Guild. Our meeting will be held in the cedar-lined Great Hall with vaulted ceilings and views of the Siskiyous. Pacifica offers unlimited tent and vehicle-based camping for participants as well as four RV hookups with electricity and water, but no sewer. Please call Kristi before registering to secure your RV hookup rental: (541) 941-3744. The newly-constructed, ADA accessible, restrooms (with two public showers) will be ready just in time for this event. Hosts will attempt to provide temporary showers with hot water as well. Please consider bringing your own solar shower. Two housing rentals are on site: The Steve Miller Apartment (2 bedroom, 6 beds, 1 bath) and The Pond House, a 4000 sq. ft. home overlooking a large pond and the Siskiyous. See the Lodging page for more details and contact information to reserve these houses.